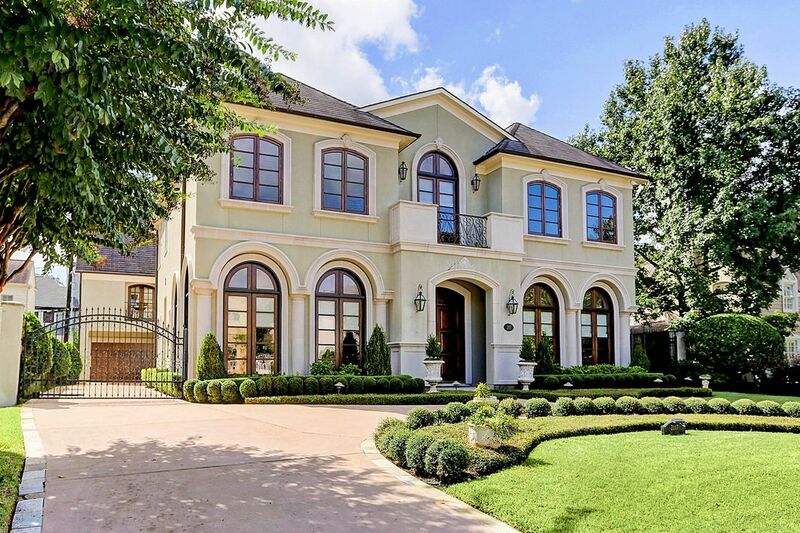 2117 Del Monte, Houston, TX 77019 | Martha Turner Sotheby's International Realty, Inc.
2117 Del Monte - Welcome to this timeless recent construction River Oaks home. 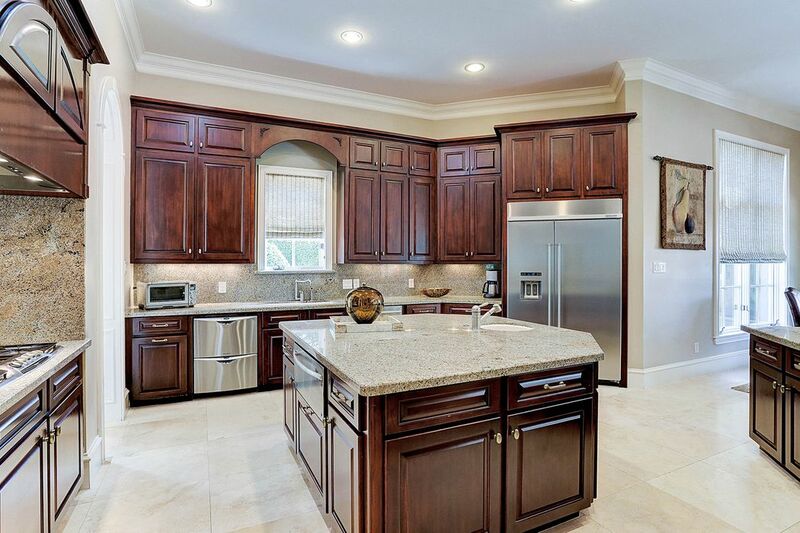 Located within strolling distance to popular River Oaks Shopping Center, this home offers something for everyone. Come see. 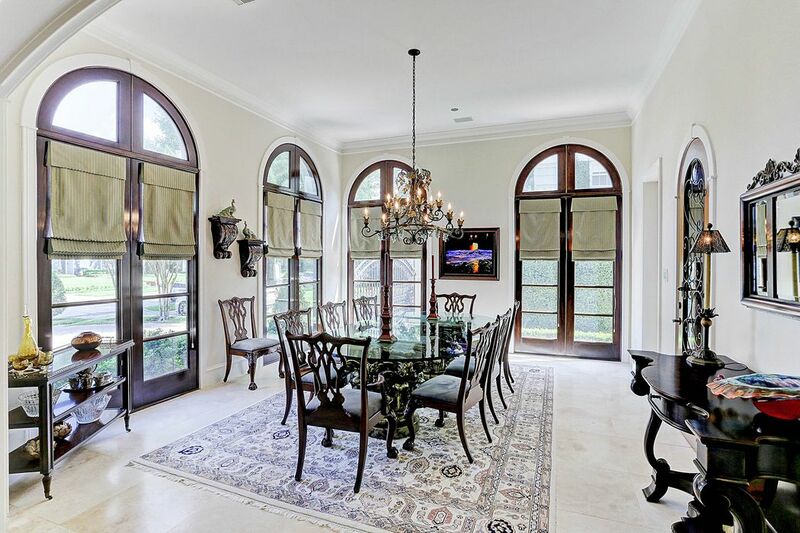 Dining Room - To the left as you enter the home, the windows are take-your-breath away pretty. 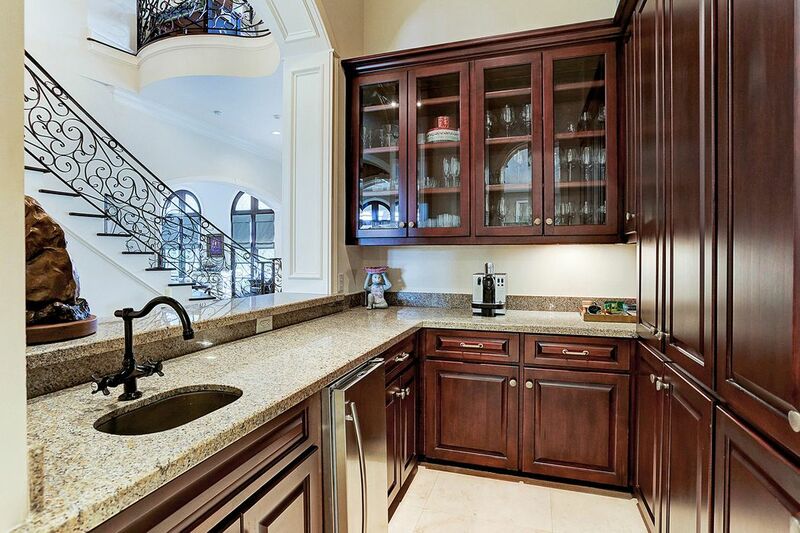 The wrought iron door leads to a chilled wine room adding a special touch for entertaining. 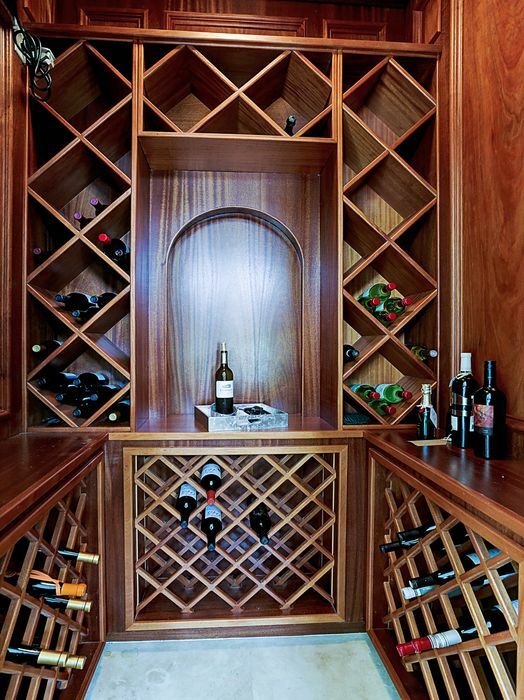 Close up view of the chilled wine room. Red, white or rose? Study - Fabulous and functional. It shares the fireplace with the living room but can also be closed off for privacy or when work deadlines call. 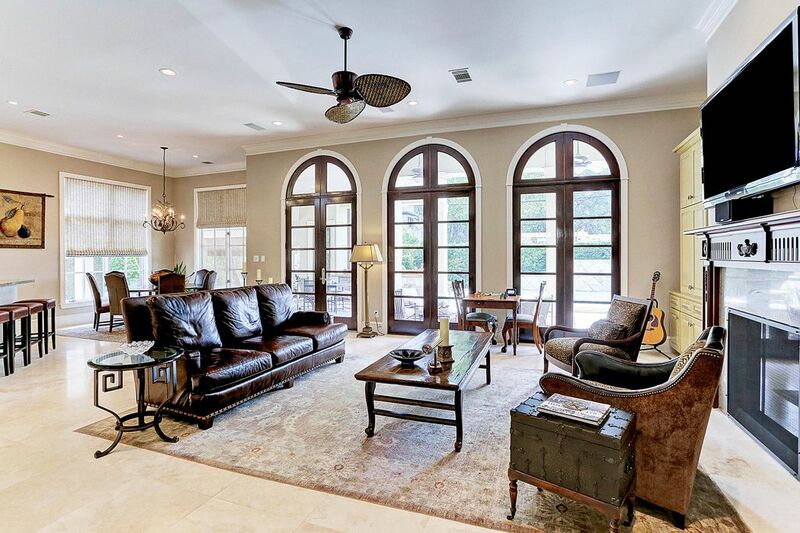 Doors here open to the family room and you are also to catch glimpse of the pool. 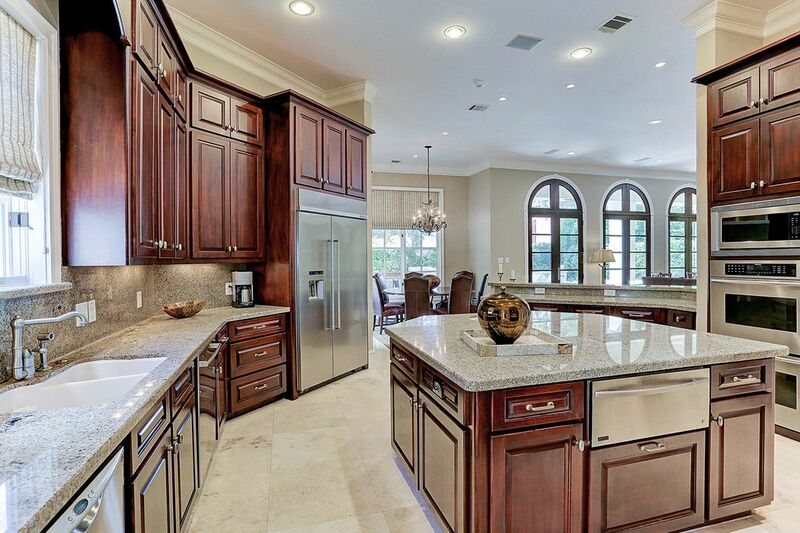 Another view of the Kitchen - This time with the range to the left. Dishwasher has 2 drawers that can be run separately or together.and has been recently replaced, per seller. Breakfast Bar in Kitchen - For quick meals on the go or for just hanging out, the breakfast bar is one of the most popular spots in the home. Plenty of room for everyone here! Breakfast Room - More seating for family and friends! 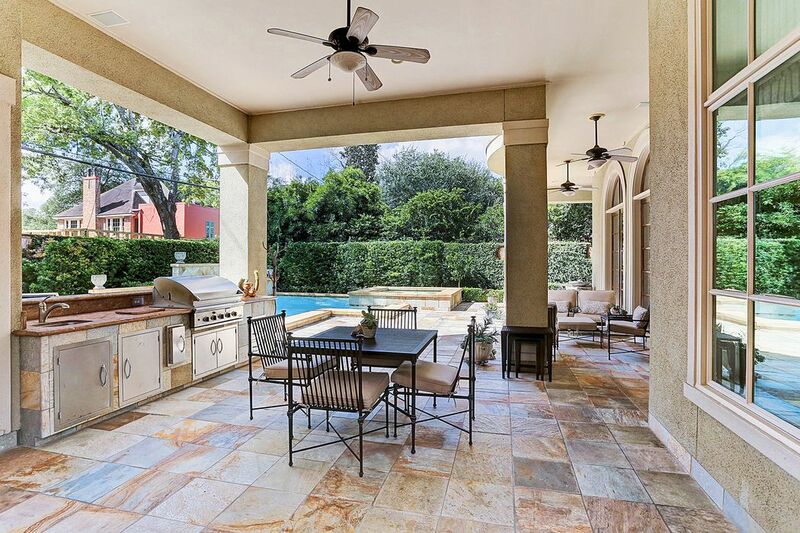 A perfect place for morning coffee as you look out to the lush green back yard, pool, summer kitchen and spa. Family Room - Looking from the kitchen. 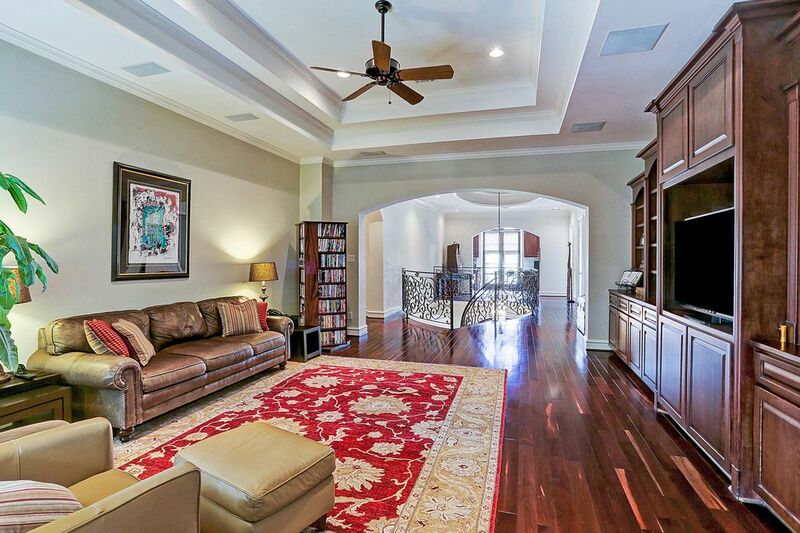 Functional bookshelves finished by Segreto cozy up this large room. 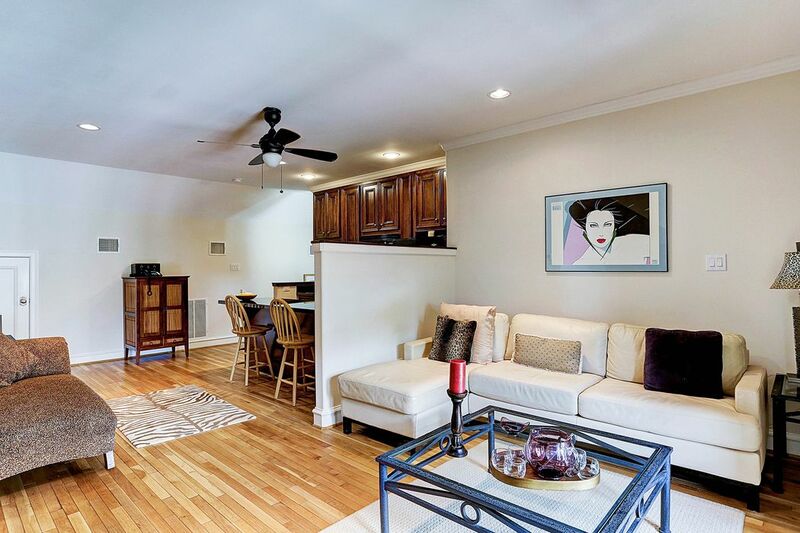 You will come to appreciate the open, airy feel of the home and its floor plan. 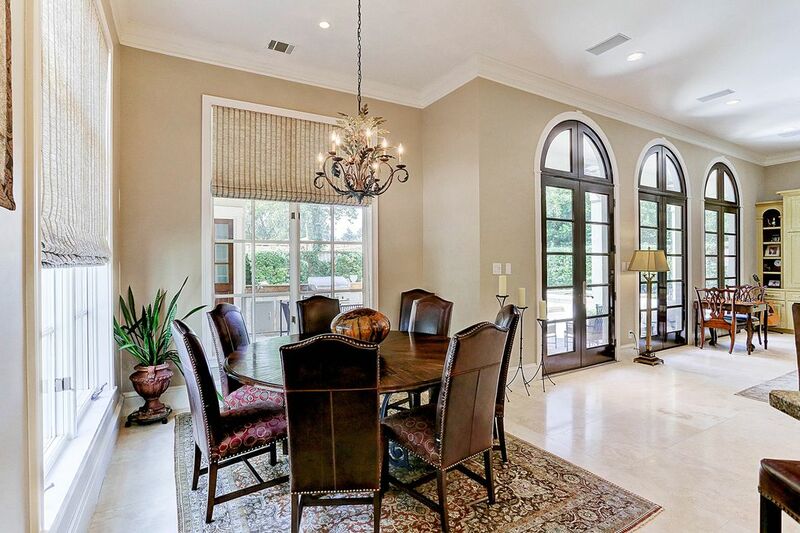 Great View of the Family Room, Breakfast Room, Kitchen and Study behind the doors - Flows so well!Notice also the architectural appeal of the arches providing a buffer to the study. Open (but not too open)! Extra Landing Space and a tucked away Homework Spot or Home Office - Such a fun and functional spot. Plenty of storage, great work space, overlooking Del Monte. Getting work done is a treat in this happy space. Game Room - A large upstairs space for hanging out! 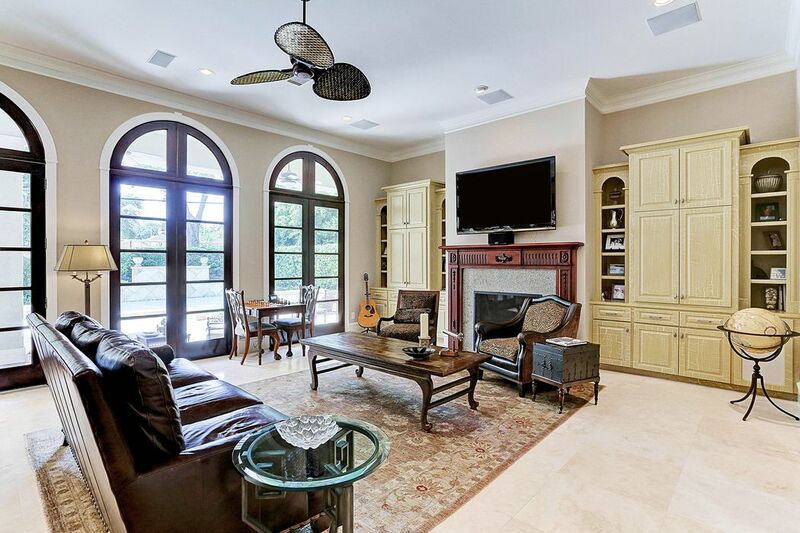 Surround sound makes this room a perfect movie night room and kids can play away upstairs and away from the guests when entertaining. Its private, but not too private, for those teenage years! 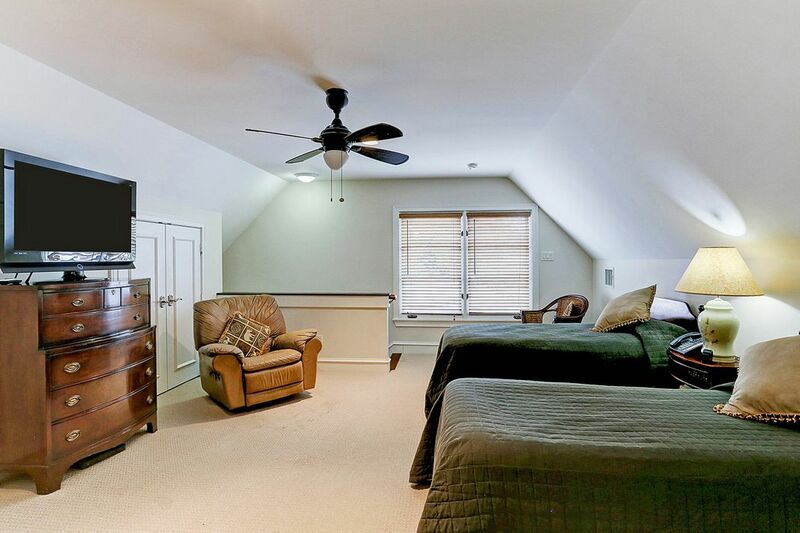 Master Suite - Large and lovely, overlooking the back pool. 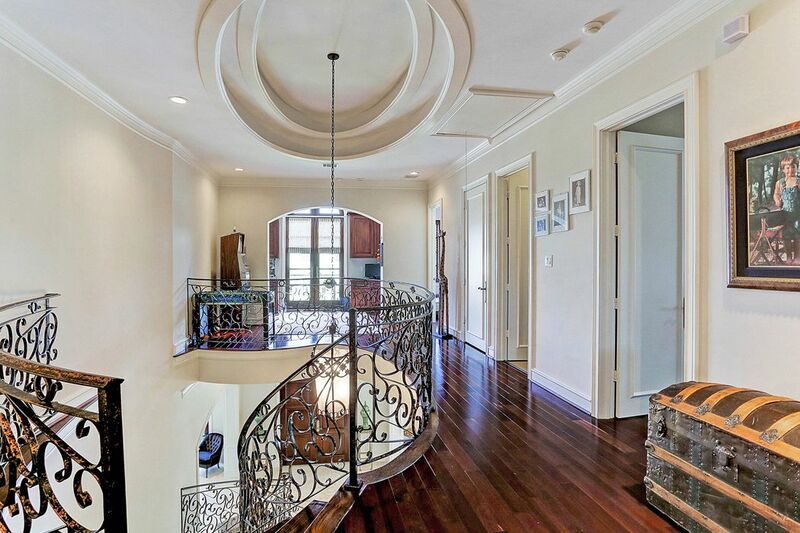 Another detailed ceiling contributes to the beauty of the room. 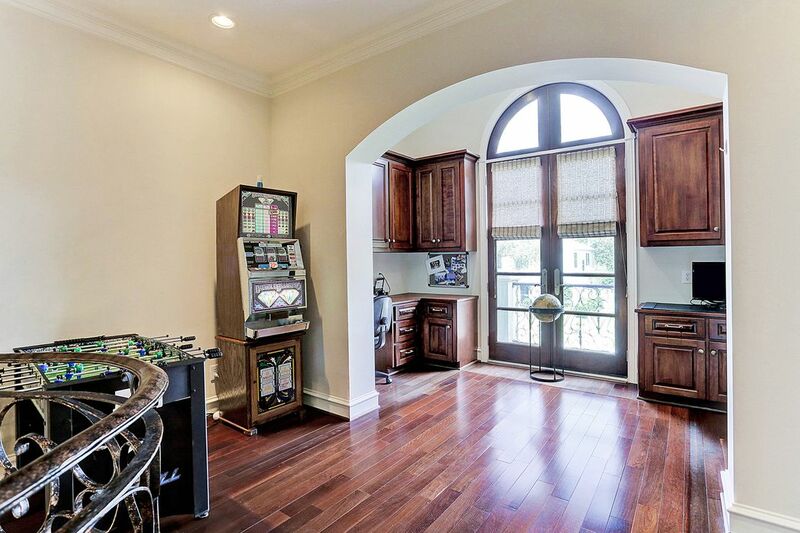 Master Bath - Palacial in size with many bells and whistles, including custom tile mosaic in the floor, a coffee bar, oversized shower, water closet with bidet, and large shared walk-in closet. This bathroom does not disappoint! 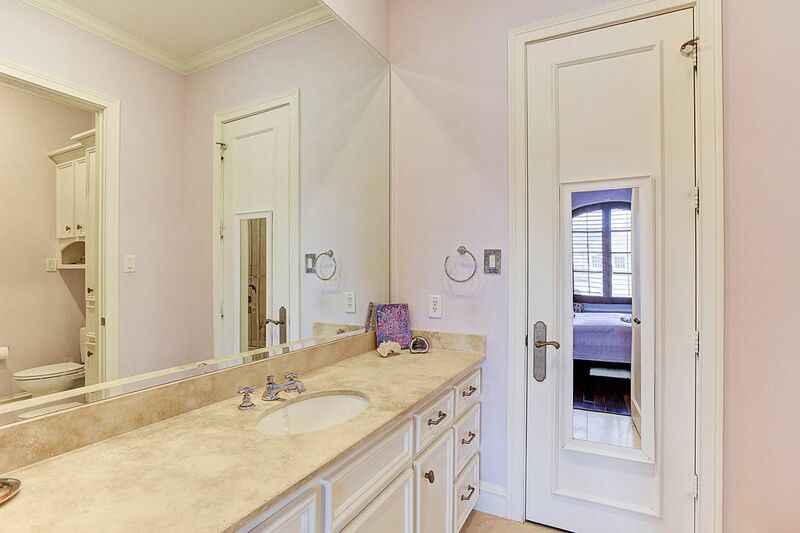 Another View of the Master Bath - Allowing you to get a sense of the entire master suite. Private with plenty of room! 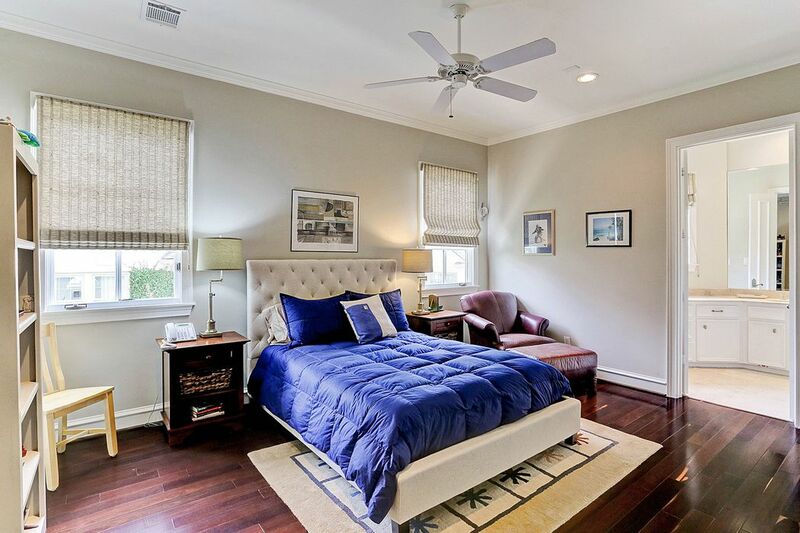 Front Bedroom - Hardwoods in the bedrooms, all have en-suite baths and excellent sized closets. One of the 3 Secondary Bathrooms - All are neutral in decor and will stand the test of time! Another Secondary Bedroom - Notice the custom shades throughout the home. All will remain. 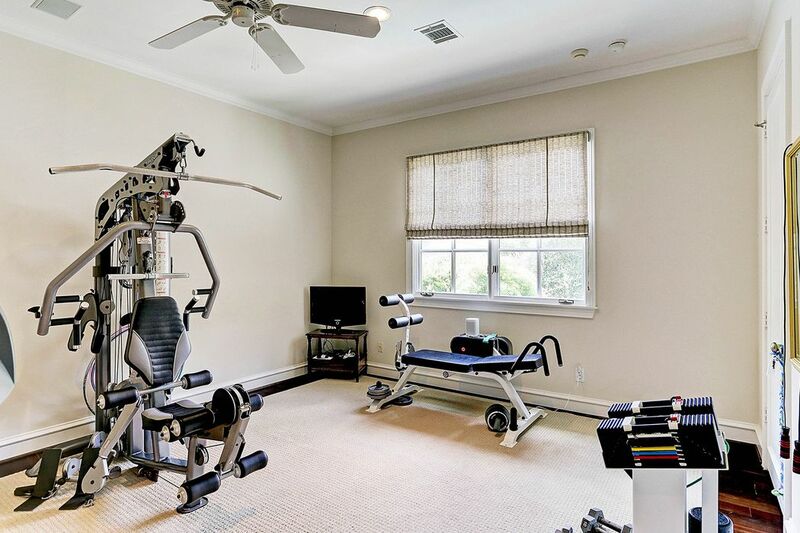 4th Bedroom - Currently being used as an Exercise Room. All bedrooms have been very lightly lived in. House shows impeccably. Screened Balcony - Leading off of Master Bedroom and Game Room. 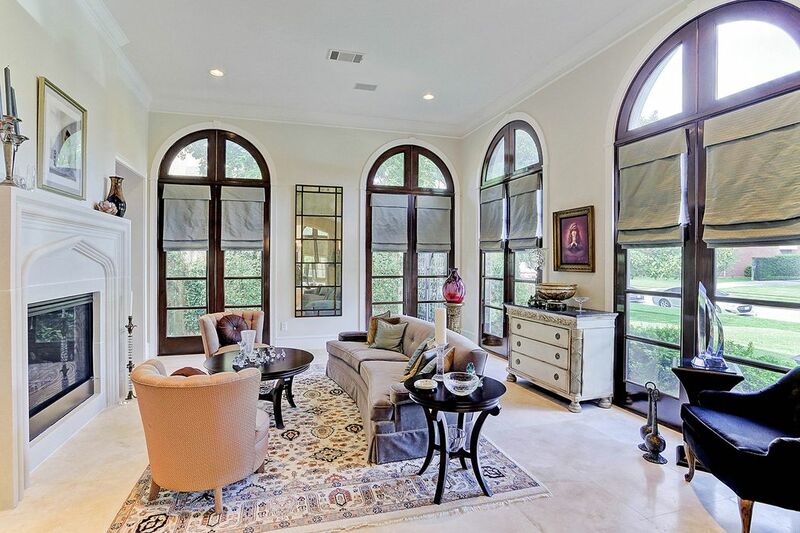 Screen can be automatically raised or lowered based on Houston weather and your preference. Don't worry about mosquitos! Outside features a mosquito system with natural repellant. Garage Guest Quarters - This "apartment" was designed by Seller for a relative. It has everything one needs to be self-sufficient in style. One and a half stories ... Bottom floor features a den and kitchenette with breakfast bar. Also a full bath. Summer Kitchen - Up close! Grill and chill, enjoy an evening meal al fresco. Note also the mature landscaping. Green views everywhere. A serene retreat in River Oaks. Covered Sitting Area - More space to enjoy the outdoors. 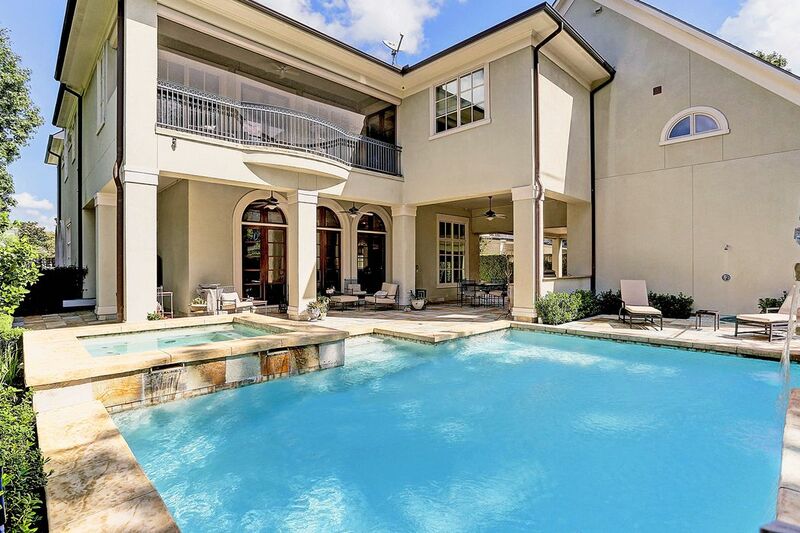 Look closely to see the water fall feature in the pool. Home is being constructed on the lot behind the pool so even more privacy is soon to exist. Pool Area - Pretty shots just keep on coming. A perfect place to spend these soon to be here Fall evenings! One Last Shot of the Back of 2117 Del Monte - Giving you a sense of how the back yard, summer kitchen, garage and guest apartment connect. 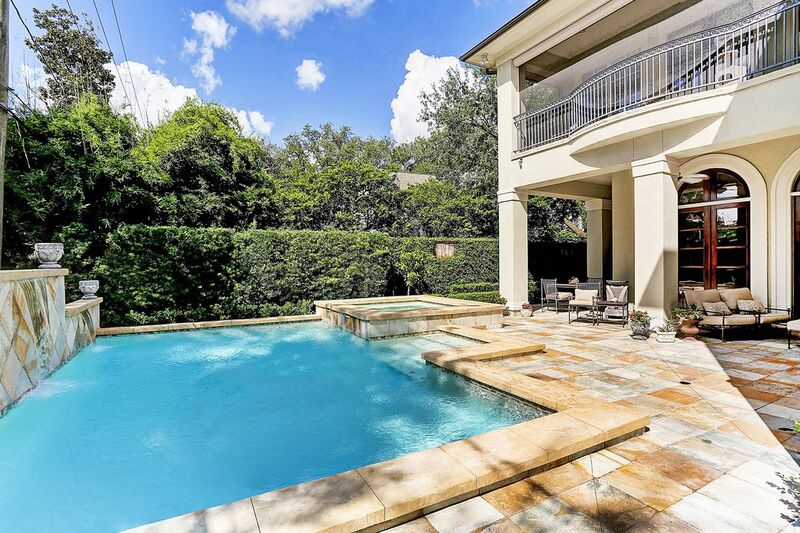 Home Sweet Home here in River Oaks! Come see for yourself. 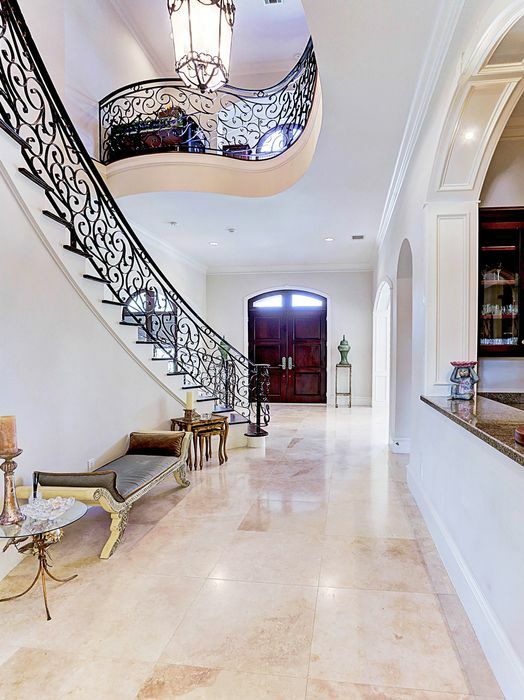 $3,495,000 4 Bedrooms4 Full / 1 Partial Baths6,983 sq. ft. 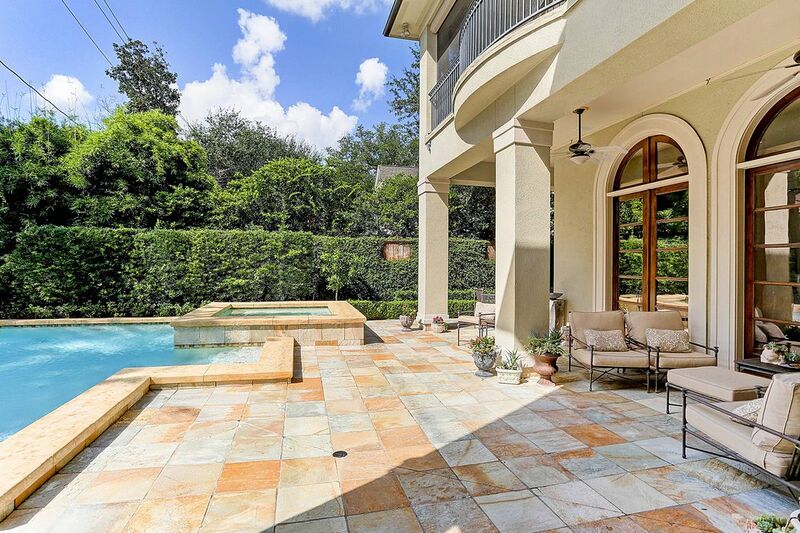 Recent construction River Oaks home with many custom upgrades. 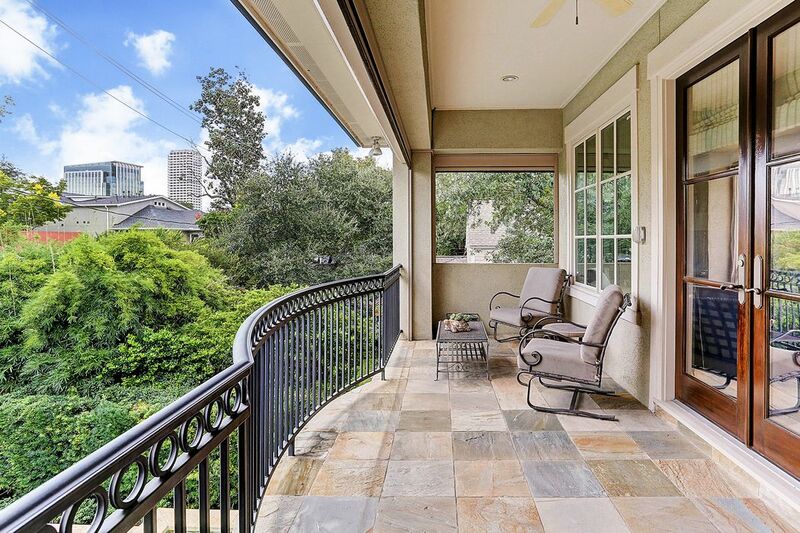 Located close to Houston's beloved River Oaks Shopping Center, this home features approx. 6118 sq. ft. plus an approx. 865 sq. ft. custom designed attached guest quarters and loft. 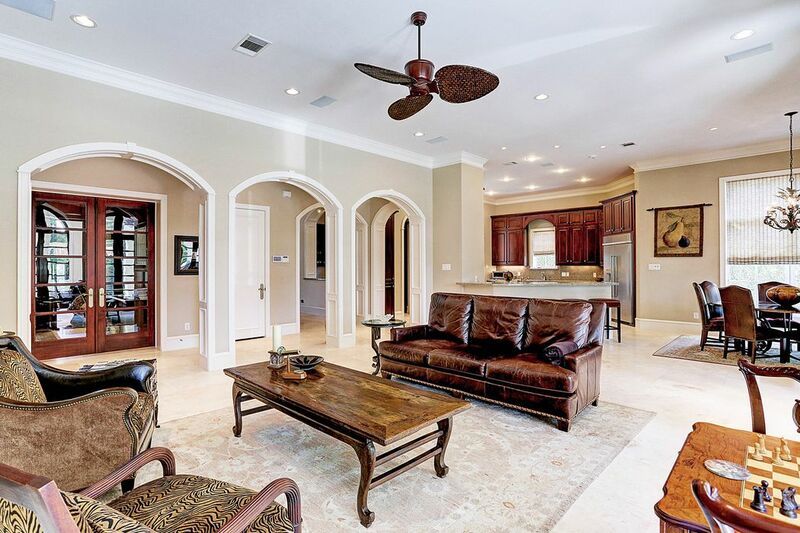 Open and airy floor plan with traditional formals, a chilled wine room, a wood paneled study and large family room that opens to kitchen and breakfast room. 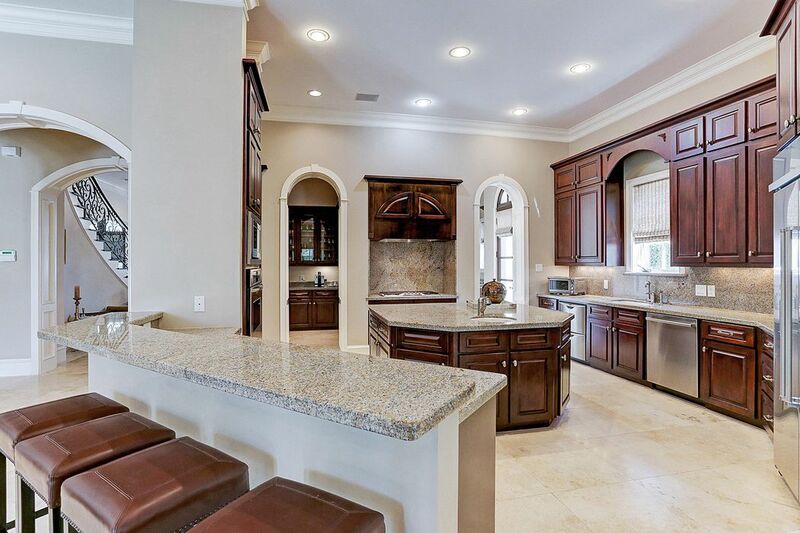 Beautiful walk-in wet bar, 3 secondary bedrooms up with en suite baths, master suite with enormous, elegant bath, upstairs game room, upstairs home office and a balcony screened porch overlooking the pool. Quarters is a darling guest apartment with loft bedroom, den and kitchen plus 1.5 baths. Separate entrance from garage into house. This wide lot allows for a porte-cochere and ample extra parking. 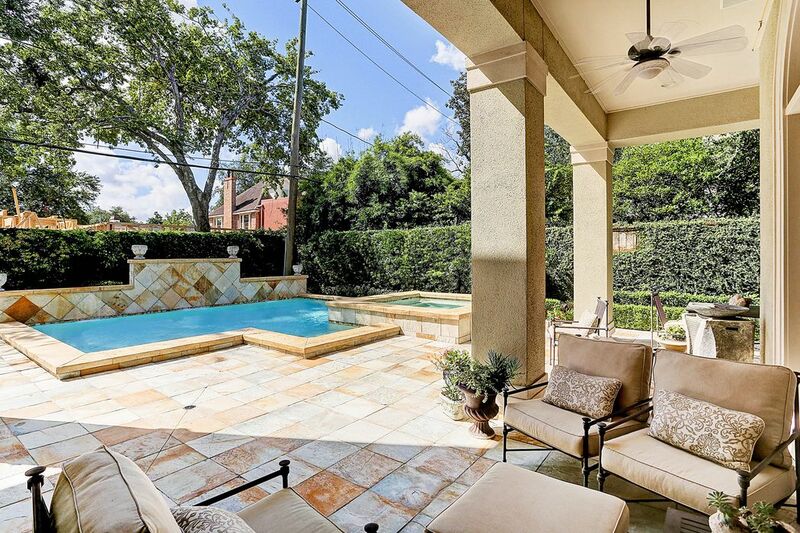 Spacious pool with water feature and hot tub and a summer kitchen to enjoy Houston's fall evenings. Circular drive, many bells and whistles.